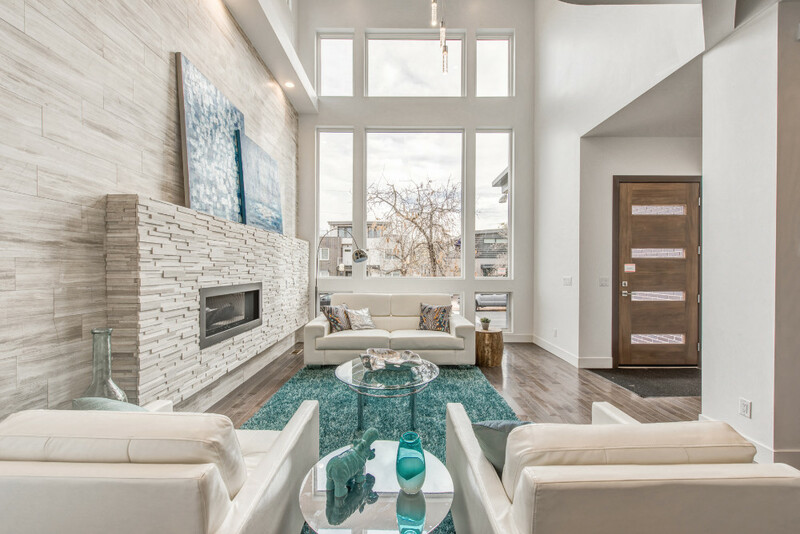 Tanya Campbell of Viridis Design Studio in Denver, Colorado is a passionate expert of interior design. She harmonizes modern and earthy design for an “organic chic” style drawing design cues from her travels around the world. Closing the door on 2016, she looks to 2017 with a bold eye for new trends to come. Eclectic Style – Springing from the current Bohemian trend that was hot in 2016, Tanya predicts that we’ll start to see a lot of eclectic decorating and finishes in interior design. So passe are the days of matching time periods and undifferentiated tones. Coordinated sets of things haven’t been a thing for a while and we’ll begin seeing more use of custom and vintage one-of-a-kind pieces. In addition to furnishings, Tanya predicts eclectic styling in kitchens, for example. The upper cabinets may be modern balanced by lower cabinets of reclaimed wood with a craftsman-like feel. Organic Approach to Design – The word “organic” gets tossed around a lot and now it’s made its way into interior design. The concept of bringing the natural world into the home isn’t a new one. But what organic chic or organic design really encompasses is a whole house way of design where there is a connectedness between everything and yet a freedom to fully express your personality and creativity. It’s less about rules and more about going with what feels right – what brings you joy and makes you comfortable. Furniture pieces and accessories that honor natural materials will also continue to be integrated into interiors. Whether those materials are marble, driftwood, reclaimed wood, natural stone, glass, live plants, wool rugs, or handcrafted items natural materials will continue to inspire design. Daring Color – We’ve been in this monochromatic design world where everything is one color – grey floor, grey walls, grey countertops, and grey cabinets. “I’ve had many builders who wanted this and I always encouraged them to mix the warm and cool colors more.” This will be the year that homeowners bring color back into their lives – and in a big way. People want a balance between neutrals, rich color, and the flexibility to explore more colors without a limiting monochromatic color palette. There’s a trend for art-inspired printed tiles, almost like a painted fresco, but the tiles are printed. One tile may make up only a quarter section of the design but when all four are laid together they make up one huge art piece. Mixed Matte Metals – Gold is making a comeback but in its more subtle matte form rather than polished brass. “I worked with a homeowner at the end of 2016 and she was the first of my clients to use matte gold finishes throughout her home – for door handles, cabinet knobs, faucets, and lighting fixtures. It’s really gorgeous accented with black.” Mixing metals together is also trendier for 2017. We’re seeing brushed nickel mixed with black, for example. More Wall Paper – We’ve already been seeing textured wallpaper making its way into fine interiors, but 2017 will unveil its fullest expression since the 80’s. Opposed to small designs, we’ll see large geometric patterns perhaps in velvet or with a sheen. We’ll also see wall paper that looks more like art – cherry blossoms with birds or marbling – or in 3-dimensional formats. Overuse of Grey in Color Palettes – Grey is a good staple color, but it’s been overdone in the past several years and moving forward we won’t see as much all-grey palettes anymore. Instead, diversity in the palette will strike a contrast. We’ll see a transition from grey color palettes to warmer mochas or taupes. Monochromatic – This has been popular for the last couple of years. The floors, walls, countertops, and fabrics made of different tones of the same color. It was bold and calming at the time, but now it’s boring and overly coordinated. The emergence of eclectic styling is a breath of fresh air to this overdone trend. Hollywood Glam – Think mirrored stuff, lots of crystal, fluffy rugs and pillows. We’ll still see some of these elements in 2017, but mixed into an overall style that’s more grounded or bespoke. Looking for an interior designer in Denver, CO for your next residential or commercial project? Call Tanya Campbell at (303) 489-9958 to set up a consultation, or contact us through our online contact form. http://www.viridisdesignstudio.com/wp-content/uploads/2016/12/3539-Tejon-St.26-forinternetuse.jpg 668 1000 admin http://www.viridisdesignstudio.com/wp-content/uploads/2016/08/header-logo-1.jpg admin2017-01-19 16:50:552017-06-09 19:01:102017 Interior Design Trends - What's In, What's Out.